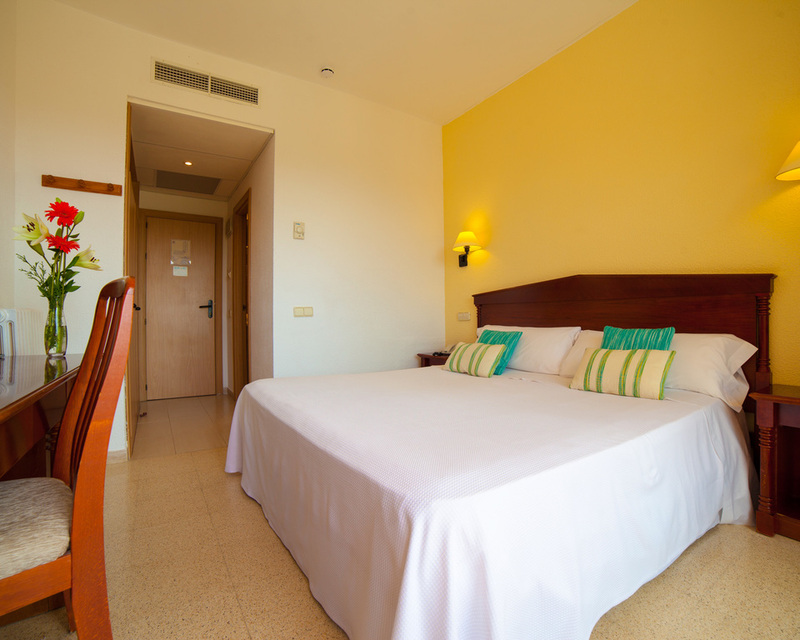 Hotel rooms or suites: choose your experience and enjoy the holidays with full comfort. From 52€ per night - 0 rooms of 4 types. Rooms with balcony. Located inside the main building, this offer absolute tranquility. A safe is available at reception and can be rented. Rooms with balcony or terrace. These rooms have a private, fully equipped bathroom. Some have sea or pool views and some offer views of the mountains. A safe is available at reception and can be rented. 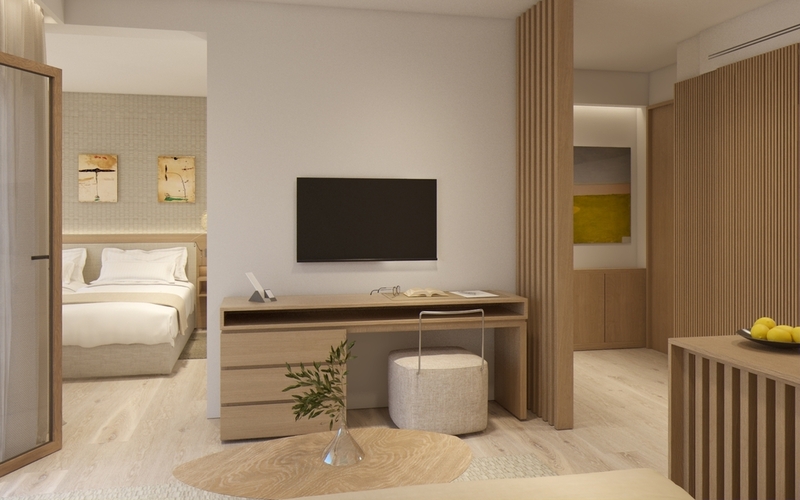 Spacious Superior Double Room, modern and elegant, vanguard design, bathroom with designer shower. Superior Double Rooms are overlooking the pool and there are particularly recommended for couples. 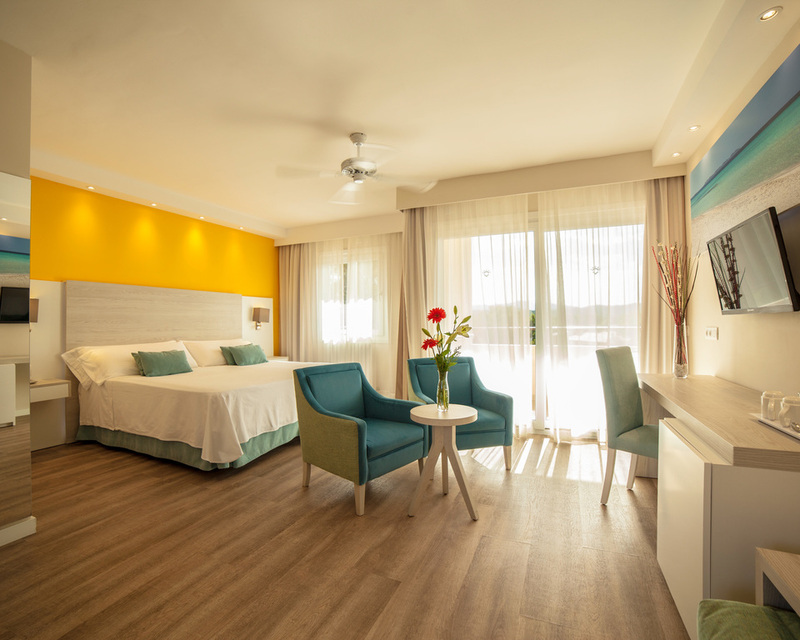 Wonderful Junior Suite with open and airy spaces, all of them have 2 TVs (Bedroom and Living Room), dressing room, bathroom with shower and balcony; Reformed at the end of 2018 they have a fantastic design with a modern decoration that will not leave you indifferent.